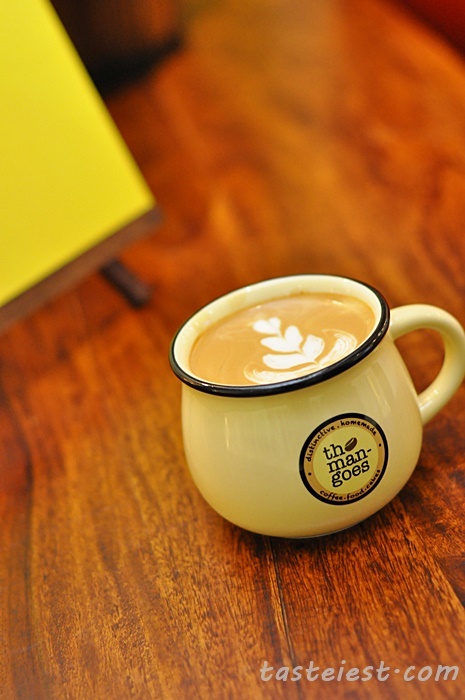 Mangoes Café previously operate in Beach Street has now move to Gurney Paragon, miss their coffee and dessert very much. 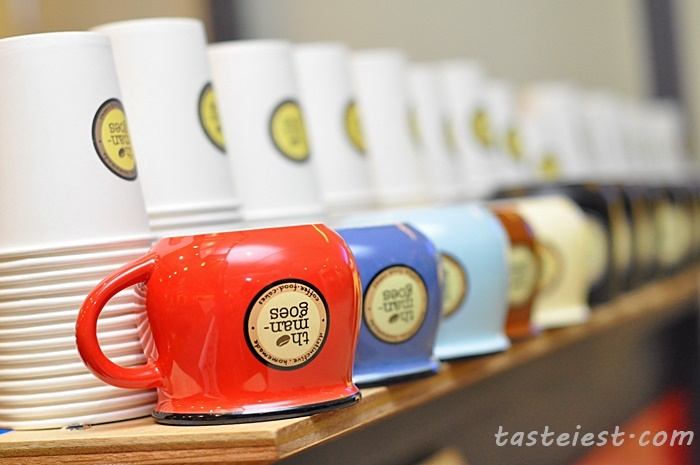 Although it is not a big restaurant but promise to be very comfortable restaurant for hanging out with friends. Every piece of furniture are unique and they are brilliantly make it into one piece of art. 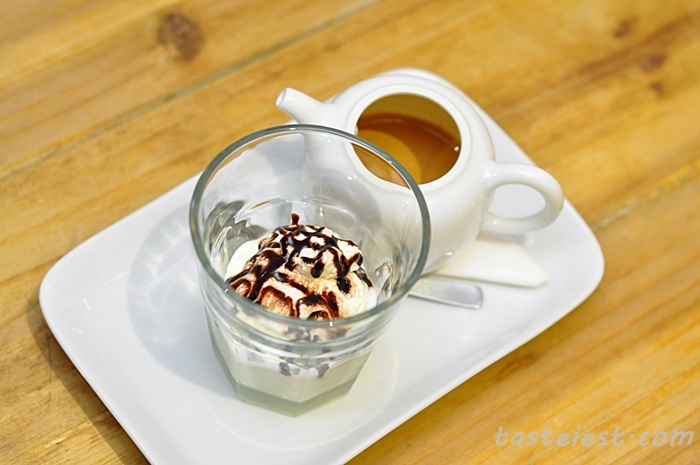 Signature Affogato RM10, one in a while I need a cup of booster and Affogato always on top of my list, strong shot of coffee with ice cream is just awesome. Palm Sugar Latte RM10, instead of typical brown sugar or white sugar they use palm sugar which has a very unique fragrance. 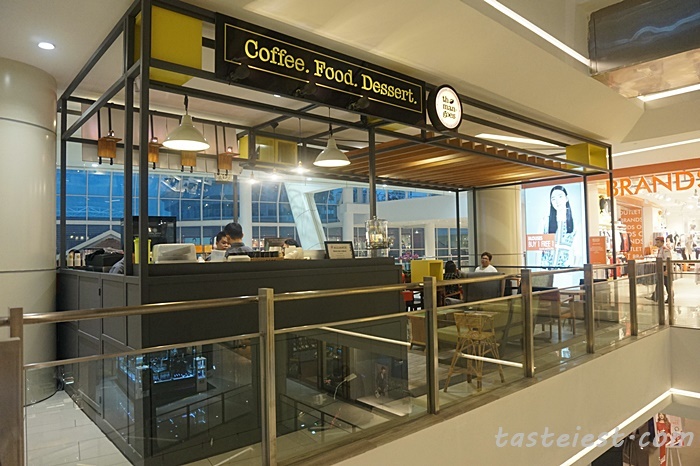 Mixed Leaf Salad RM12, not only Coffee or Dessert instead they do provide light snack as well. 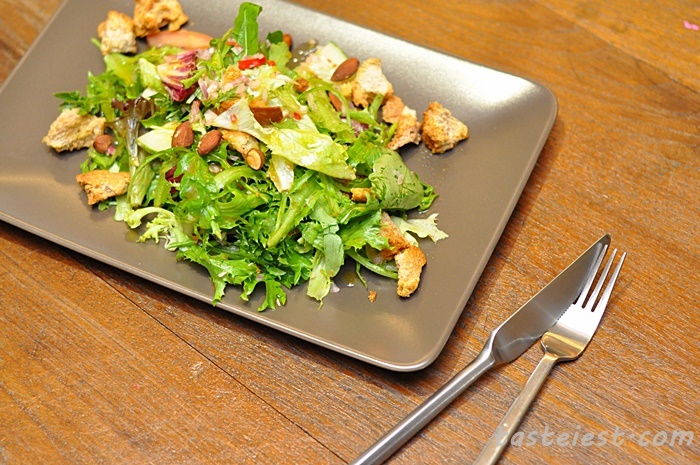 Assorted fresh vegetable mix together with special Coffee Vinaigrette dressing are special in taste as well. 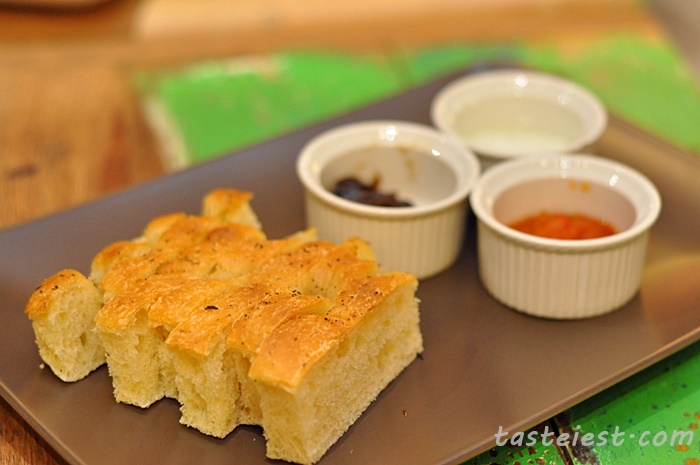 Focaccia Bread RM10, a type of flat oven-baked Italian bread that pretty similar with Pizza dough but much more soft and moist, served together with Chili and Lime Jam, Spiced Onion and Coffee Marmalade, Holy Basil and Lemon Yogurt. Every jam has it own unique taste and we love the Chili and Lime Jam very much. 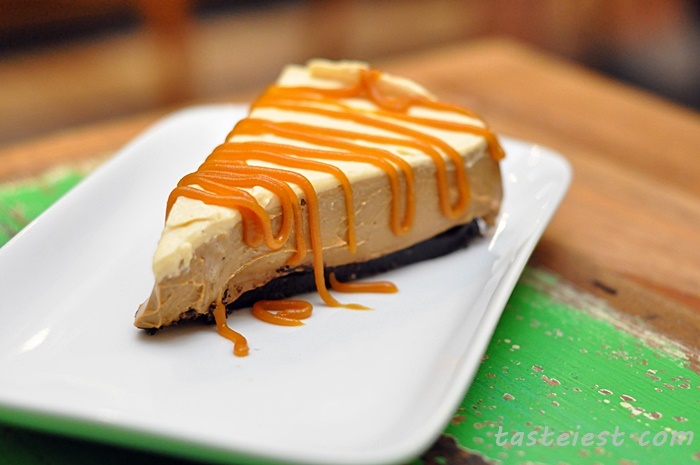 Salted Caramel Macchiato Cheesecake RM12, very smooth texture cheesecake with a hint of coffee aroma with a little bit of salty taste make it a very special cake. 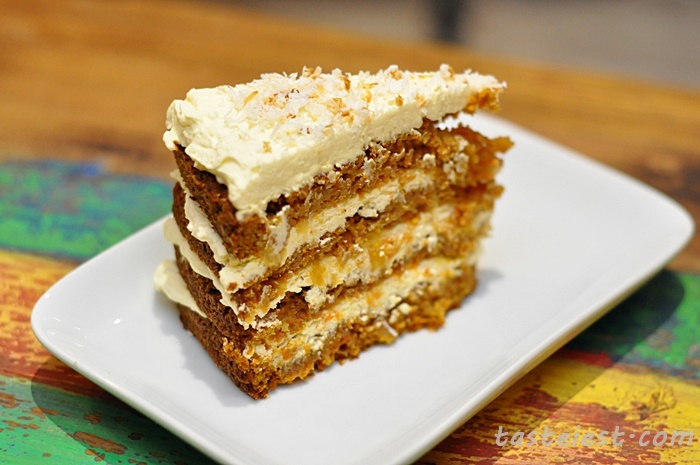 Hawaiian Carrot Cake RM12, instead of typical carrot cake that taste solid they make it to a little bit soft and added pineapple to create much balanced flavor. 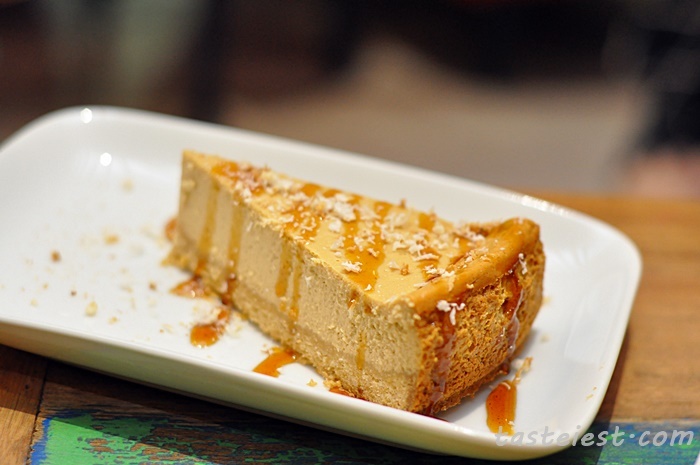 Gula Melaka Cheesecake RM10, extremely moist and flavorful cake that is not cheesy instead the fragrance of Gula Melaka make it one of the best cheese cake I ever had. 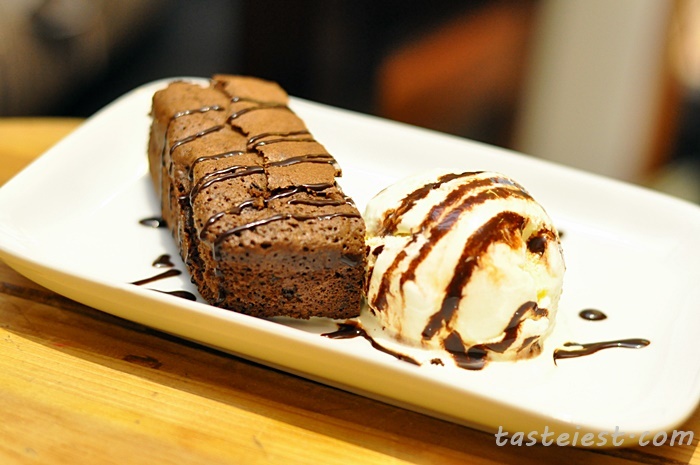 Mocha Walnut Brownie with Ice Cream RM8, fragrance Mocha served with a scoop of ice cream. Chocolate flavor are pretty strong and mixing it with Ice cream create a well-balanced flavor. 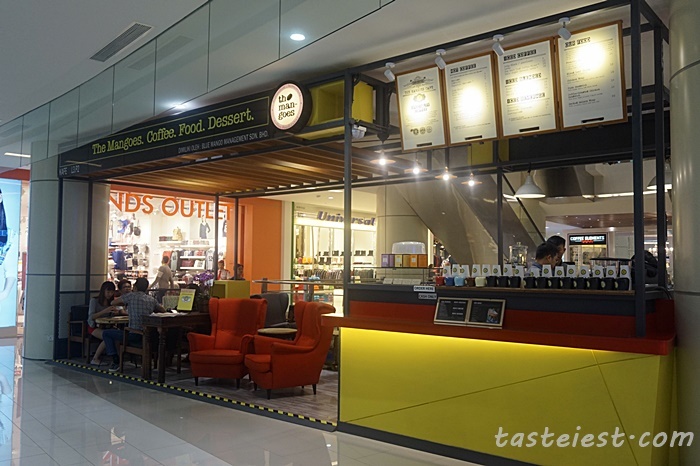 163D-3-P2, Gurney Paragon Mall, Persiaran Gurney, 10250 Penang.